GARY Locke has told Celtic youngster Stuart Findlay to use Kilmarnock to prove he is good enough to claim a place in Ronny Deila’s first-team. The Killie boss hopes to wrap up a one-year loan deal for the 19-year-old centre-back later on Wednesday after he underwent a medical at Rugby Park. He’s got a lot of attributes that I like. Scotland Under-21 international Findlay has had similar loan stints with Greenock and Dumbarton over the past two years - but Locke claims the confident teenager feels he is already good enough to play for his Parkhead paymasters. Now he has urged him to show just how good he is at Scottish Premiership level by starring for Killie. Locke told Press Association Sport: “Stuart is a young lad that I’ve kept an eye on for a while. We’ve not got fortunes to spend so the loan market is something that we are having to look at. “Celtic have kindly let him come down. It’s not done yet but we’re hoping to get something agreed today. “He’s got a lot of attributes that I like. It’s not for me to say why he’s not getting a game at Celtic but certainly for us, he fits the bill. “He’s left-sided, he’s quick and strong. We are a bit short in that area and hopefully he will come in and show how good he is. “I’m sure at the minute he feels he is good enough to play for Celtic - well this is his chance to prove it. “Luckily for me he’s decided he wants to come to Kilmarnock, which is a major coup for us because there was a lot of interest in the lad. If Findlay puts pen to paper, he will become the sixth player to have checked into Rugby Park this summer after Locke signed up Scott Robinson, Jamie MacDonald, Kallum Higginbotham, Kris Boyd and Stevie Smith. After narrowly avoiding a relegation scrap last term, Locke is hoping for better luck this time. “Things are looking a lot more positive now because I’ve managed to get some players in,” he said. 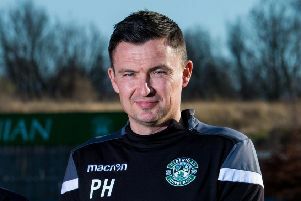 But after losing former skipper Manuel Pascali to Italian third-division side Cittadella, Locke has also been forced to admit defeat on his bid to tempt Finnish playmaker Alexei Eremenko into one more year in Scotland. “I’ve spoken to him regularly over the summer and it looks like he’s going to go elsewhere, which obviously leaves us disappointed,” confirmed Locke. “We have tried to keep him. We tried everything we possibly could and he got a good offer from the club.